It’s February, which means hearts and flowers, wine and chocolate. And for the romance reader, lots of new releases. Have you ever looked at the romance novel section in a bookstore and marveled at its size? Or perhaps you’ve noticed that supermarkets and drugstores seem to always have an assortment of romance titles, even if they don’t offer many books. Whether you are a romance reader or not, you’ve probably realized that in the book industry, romance is a big player. romance readers read a LOT of books! According to a presentation given by Author Earnings/Data Guy to the Published Authors Network (PAN) at the 2016 Romance Writers of America national conference, romance novels make up about 4.4% of the Nielsen Bookscan units for 2016, which works out to 27.5 million print books (not including books that are untracked by Bookscan or perhaps catalogued under another genre). The ebook numbers are even more impressive, adding up to 45% of Amazon.com paid units and an additional 61 million from Apple, Nook, Kobo, and Google. That adds up to about 235 million ebooks! Not to mention, who doesn’t enjoy a nice love story? 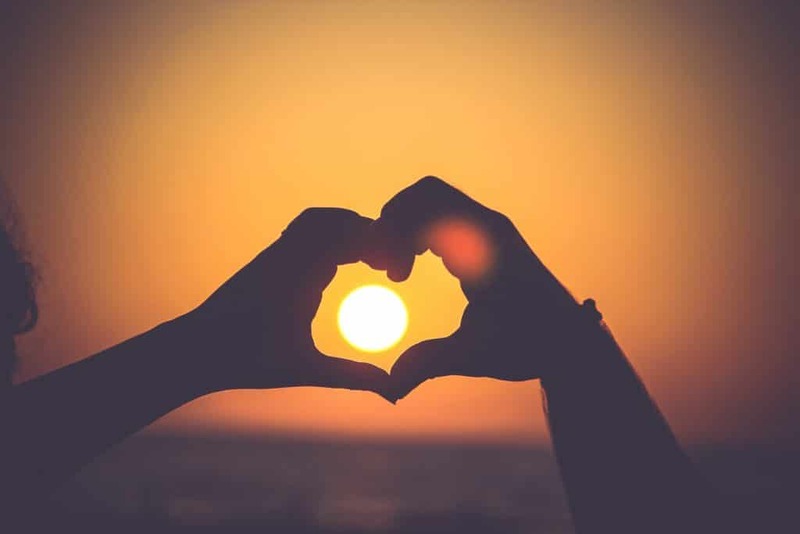 If there’s one emotion we can all connect with, no matter our age, gender, sexual orientation, ethnicity, nationality, or level of income or education, it’s love. However, writing a romance that will please the market is not for the faint of heart. Romance readers are loyal, knowledgeable, and discriminating. They don’t like what they don’t like, and they know their sub-genre categories well. And because we all think we “know” what love feels like, there is a lot of competition in the marketplace. You might think you have the greatest idea for a meet-cute scene, but lots of people are fighting you for that honor. The commodity that’s short in supply is time, not ideas. Readers have limited time and they’ll pick the best of the best to fill it with. And then there’s the head-scratching fact that the majority of the works of fiction sold in the U.S. (and likely everywhere else) are NOT romance, but there is a romance subplot everywhere we look, in practically every novel or movie! What exactly does that mean? The same people who won’t touch a book with a bare-chested man on the cover will enjoy the latest thriller where the protagonist saves the planet AND gets the guy (or gal) in the end. What I take away from this strange bit of truth is that romance has the potential to interest just about everyone…but execution determines how wide your audience will extend. I’ve always struggled with romance as a commercial genre, and I’m sure I’m not the only one. While on the one hand, we all undoubtedly enjoy a great love story, writing to sell to the romance market seems to have its own rules. Happily-ever-afters, heroes and heroines who meet up by page five (or ten or twenty), the “black moment” at a prescribed place in the storyline where the hero and heroine become estranged—it feels like a template. Or for me, like a noose. Many years ago, uncertain of how to launch into a novel-writing career, I decided that it would worth trying to decode the mysteries of the romance novel. My logic was as I stated above: romance novels are a huge market, and romance readers read a lot of novels! Why not mine? Surely I could figure this thing out. I joined the Romance Writers of America, went to a bunch of conferences, talked to agents and editors, and got some critiques of my writing. I then got to work drafting full-length novels. By the time I had been in it for a few years, I could see that the romance marketplace was much more difficult to crack than I had realized. Editors and agents were looking for “a certain something” and this left me confused and frustrated. However, in my very humble opinion, it wasn’t just that I couldn’t figure out what they wanted; it was that they were not able to articulate exactly what they were looking for, either. Despite all the work I had put into learning the tropes of the best-selling romance novel, there always seemed to be something missing from my work, and the industry experts were not able to tell me exactly what it was. Time after time, I was invited to submit work, then told that it wasn’t quite what they were looking for. I knew it wasn’t my writing because they told me as much. But if the problem wasn’t with my writing, then what was it? The answer to the question for me, and I suspect for many, is genre. And strangely, the problem probably doesn’t lie in the love story genre, but in the “other” genre that lies buried in most manuscripts. That “other” genre is what separates an acceptable love story that uses a template and checks all the right boxes from a gripping love story that you can’t put down at two in the morning. And what can be confusing about this is that many aspiring romance writers probably spend more time working on their love story conventions than on the second “other” set of conventions at work in their books. I know I did. This is where Story Grid helped me to figure out what was going on. The problems that I was struggling to analyze and correct were finally laid bare and I was able to shake the unease that I felt every time I tried to “fix” my romance novel manuscripts. I could see that it was probably not so much my romance tropes as the non-romance story in my books that wasn’t hitting the mark. What I was sensing was also a kind of disconnect between genre and the marketplace. And while it’s an unkind truth, the fact is that there are indeed commercially successful published novels that don’t look like anything special. But just like we can’t figure out why the big hair of the 1980s was ever a thing (who thought that was attractive? ), we also can’t really explain exactly why one novel sells and another doesn’t. We can try, but at the end of the day, we don’t really know. So we end up generalizing. What do all these top-selling romance novels have in common, we wonder? Well, the hero and heroine meet by page whatever, kiss by page whatever, quarrel by page whatever, etc. The cover has a bare-chested man in a kilt, or the heroine has red hair. Maybe there is a secret baby. None of these things are genre “requirements,” but if you are muddying the genre question by trying to figure out what’s “hot” at the bookstore, this is what you may conclude. This is a mistake. What is actually interesting and relevant about top-selling romance novels is that they are usually “fresh,” “quirky,” or feature a heroine or hero who is “interesting.” And this is why your romance novel (and mine!) will benefit from a Story Grid analysis where you can find the underlying genre that will make your romance novel satisfying as a love story, but a stand-out in terms of originality. You don’t actually benefit from sticking a red-haired heroine into your novel—someone has done that already, and has done it in a “fresh” way, so that isn’t going to solve the problem. Figure out how to shore up the unique story that underlies your romance novel. That is how you write “fresh” love stories, not by looking at the marketplace and trying to figure out what your competition is doing. A great side benefit to Story Grid analysis is that once I let go of the notion that my novels had to conform to whatever is “working” in the current romance marketplace (i.e. those tropes that I thought I needed to study), my day-to-day writing experience brightened considerably. Trying to control for a marketplace definition of a successful love story is impossible (and feels stressful), but using Story Grid to ensure that as many people as possible are getting out of my books the satisfying experience that a love story provides, is possible, and that’s a very cheerful thought. In addition, Story Grid, unlike the marketplace, is a neutral master. It works for old books, new books, popular books, unknown books, dense books, simple books—it just works, without judgment. Because it is organized around the principle of a “core emotion,” it answers the question that every reader is silently asking before selecting a book: what do I want to feel? What experience do I want to have? It’s not about the color of the heroine’s hair or the setting of the story. When I take this question back to the marketplace, I can see that successful novels usually do make sense under the Story Grid rubric. But instead of a template where I am warned against keeping my hero and heroine separated for too much of the book, for example, I can see through the Story Grid spreadsheet that if my story involves a long separation in the middle of the book, I will have to pay attention to the reader’s desire to experience the high emotion of love without being able to actually see the main characters interacting at a time when it’s challenging to keep the reader interested. That’s a practical problem, one that I can address, rather than a straitjacket that makes me squirm. In a love story, we want to experience love without the risk that a real relationship presents. It’s easier and more fun if we just go along for the ride without the worry of looking ridiculous or getting entangled in some kind of commitment! But if we pick up a book with that expectation, we will want the author to deliver. 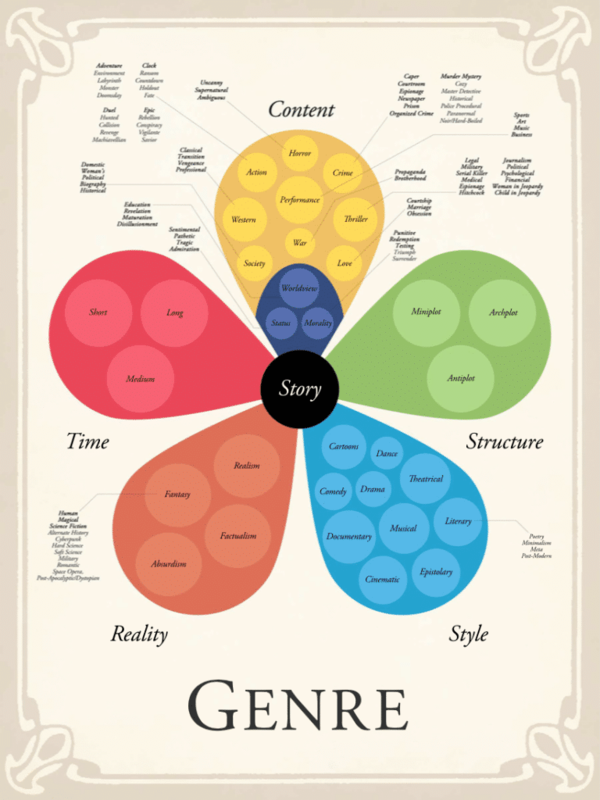 And what will help you to deliver this emotional journey in a powerful way is the use of Story Grid tools such as a secondary genre and character wants/needs analysis. WHY does the heroine have trouble trusting people? WHY does the hero think that he always disappoints the people he loves? WHY does the heroine keep picking fights with the hero, until he is so angry he leaves her? WHY does the hero decide that this one time, he’s not going to run away in the face of danger? Even if all of the conventions of the Love Story are present in your novel, what makes a truly engaging story is the character development. Why do we care about these people? This is what is going to separate your red-haired heroine from someone else’s. And by separating your work from the same-old same-old, you will give your novel a fighting chance to be seen. 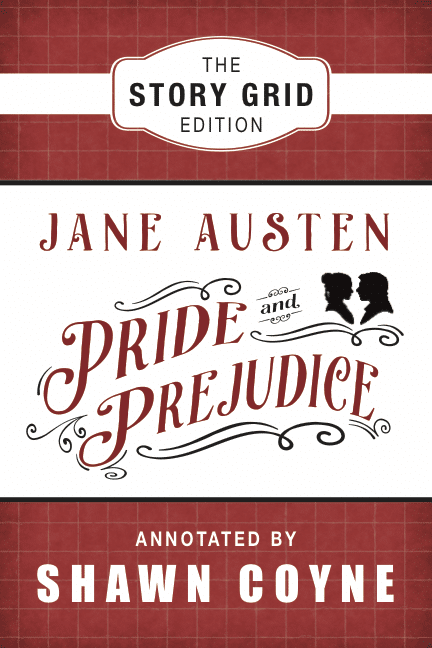 For example, Shawn Coyne analyzed Pride and Prejudice, showing us that while most of us probably first and foremost think of Pride and Prejudice as a love story, what makes it truly interesting is that both Elizabeth and Darcy have personal stories that lend to a fascinating wants/needs analysis. What does Elizabeth want? To fall in love with a worthy man. What does Elizabeth need? To come off her high horse a little bit and stop sneering at people, to see them for who they really are. What does Darcy want? To live honorably and honestly. What does Darcy need? To put his vanity and hauteur to test by humbling himself. The conventions that make Pride and Prejudice resemble all the other books in the romance category at the bookstore are not what make Pride and Prejudice special. Instead, these very specific, deep-seated backstories for the main characters make them real, three-dimensional people for the reader. This is no longer about a meet-cute plus a confession of love on page thirty, followed by a quarrel and then a breakup in chapter twenty. That’s a recipe. Sure, you need all of those things in order to pace the emotions properly, but where do the emotions come from? Characterization, and the second genre. I took a peek at another Jane Austen novel, Sense and Sensibility, which has a lovely 1995 movie adaptation, directed by Ang Lee, and with an Oscar-winning screenplay written by Emma Thompson, who also played the older sister, Elinor. As with Pride and Prejudice, what makes Sense and Sensibility a special romantic novel is easy to see with a bit of Story Grid elbow grease. Elinor is restrained and practical. She wants to do the right thing, but she needs to learn to trust and let go in order to be happy. Marianne is passionate and emotional. She wants true love and happiness, but she needs to practice discernment. This wants-and-needs analysis helps us to understand these characters and to know WHY they make the decisions that they make, and WHY they don’t just meet the guy on page one, get married on page two, and live happily ever after on page three. Something has to get in the way of happiness, or a love story won’t have a story arc that holds your interest. And as for the secondary genre, as with many novels, the exact answer to this question is debatable, but I believe that Sense and Sensibility is a morality story that wrestles with the question of whether one should be focusing on one’s own happiness in life, or if there is a higher standard for one’s personal choices. What does it mean to be good, to do good deeds, to have a moral code that is so elevated, you dare not violate it? Elinor does not break Lucy Steele’s confidence and remains friendly, even when Lucy torments her with the details of her secret engagement to Edward. This is Elinor’s honorable code of conduct, and she will not allow herself to violate it, no matter how unhappy it makes her. Is this what it means to be truly good? Or as her sister Marianne might suggest, is this a type of vanity? Likewise, Marianne wears her heart on her sleeve. In her world, the truth matters more than anything. If someone offends her, she gets up and leaves. If she falls in love, she shouts it out to all who would listen. Is it morally the high road if you always speak the truth? What if your truth hurts feelings or does harm? Against this backdrop, we have multiple love stories happening! But this scene is far more dramatic and painful than any lover’s quarrel. If all you wanted was to have the vicarious experience of the love story by watching Jane Austen’s characters interact, you could absolutely do that. But what makes Sense and Sensibility more than just another romance novel is the depth of the characters and existence of an interesting story apart from the romance. Instead of banging your head against the wall as you try to figure out if men in kilts and lassies with red hair are the flavor of the month, or whether your “black moment” should be in chapter eighteen or chapter nineteen, go for something deeper, something so powerful that you’ll be able to convince the non-romance reader to pick up your book. Take a page out of Jane Austen and some advice from Story Grid. Write a love story that works, complete with character development and arcs that resonate with your reader. Ask yourself why and how your characters got to where they are. Figure out what they need, and compare it to their mission to get what they want. Pull out the genre chart and ask yourself what the story-under-the-story is. Love stories reign eternal because human beings are endlessly fascinating in their attempts to love and be loved. Don’t let the market confuse you. Do the work, and know that you will reach more readers and touch more hearts. Great treatment, Maya! I really enjoyed your personal info about your own experiences in there. [I am a man] and I wrote a novel long ago called “Valentine’s Day–A Romantic Comedy,” and I still look back on it with great delight–I’d be afraid to run it through the Story Grid with what I now know, though. It wasn’t what you refer to above as a typical romance, more like a little on the literary side. I am also nerd enough to admit that I bought Shawn’s book (cover shown above) and read Pride and Prejudice for the first time that way. I’m near the end of a current novel, now, and I am obsessively beating the hell out of it with every facet of Story Grid. I written more than one novel and all of them seem to lean heavily on things you mention above, like in the thriller+love story way, so I guess I’m still little romantic at heart. On top of that, I’ve been married quite a while. All this to say, I must have learn something along the way to bring to my stories. And, the fact that I’m still curious about that topic proves that it must be something weirdly interesting to me. Thanks, Lewis! I think love story is a universal thing, but the “romance” genre in the market is yet another thing entirely. A lot of the synopses and cover art make me shudder, and yet when I write, there’s almost always some kind of love story going on. One of the most useful things about Story Grid is that it pays attention to basic human emotions, and what we are looking for when we read. When you look at storytelling in that light, love stories fit right into most adventures in life, whether they are horror, thriller, mystery, or one of the worldview variants. 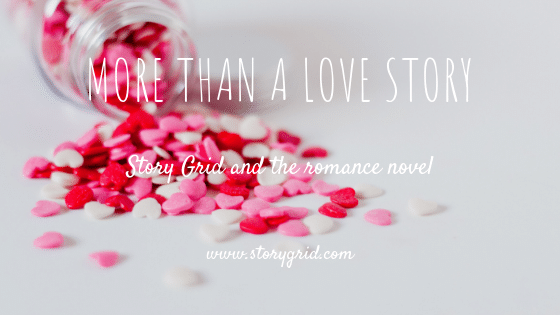 I’m impressed that you’ve done so much thinking and writing via Story Grid…are you sure you don’t want to run “Valentine’s Day–A Romantic Comedy” through Story Grid? I did that with some old manuscripts and was surprised at how many conventions I’d put in them without realizing it! Kind of made me feel smart! Actually, what it really did was to validate Story Grid for me. I’ll bet you’ll find some neat surprises in your manuscript! I might run it through SG one day. I’m in the final-draft stage on a thriller now, so I don’t want to get out of that work until the novel is finished. It’s funny you mentioned how you put things in without realizing it. I went back yesterday and checked the end of my BH, MD, and EP scenes and they all end on Life/Death (this is a thriller) and I did that before I even heard about SG! Shawn has, of course, given names to all these things, but if you read seriously enough, you intuit them even before you know what you’re doing. I have fleshed out my spreadsheet with so many columns. I use Scrivener and it allows you to do a lot of the SG work in drop-down boxes (I know Tim has mentioned using Scrivener, so I suspect he does this, too). Anyway, attached to each chapter, I have drops downs for things like internal genre (the 6 obligatory scenes), the 5 conventions, and many fill-in-the-blanks ones, like Essential Action one-liners. At lunch, I have a 1-page print out of reminders to check for in each scene (which I have numbered out to about 50 items, like Global Object of Desire and Scene OOD, anxiety level, season, weather, the 5 commandments, and forces of antagonism. I don’t have the $ to take the Tim/Shawn course and I have a day-job, so I have to do the best I can with the book, the podcasts, the blog posts here, and the extra podcast from you guys. I have learned so much from all these things, I feel like I am going to explode sometimes–in a good way. But my novel is almost done, and is in incredible shape from all these levels of analysis. But some of them wouldn’t be there, or would be weaker, if not for all of you guys! So thank everyone for me. Excellent article, Maya. Thank you so much for sharing your research and knowledge with us. Thanks so much, Rachelle! Love story is so much fun!